Searching for a new job can feel like an endless, thankless task. A combination of scouring job boards, writing cover letters, preparing resumes, and cramp from keeping your fingers crossed means it’s not entirely stress-free! 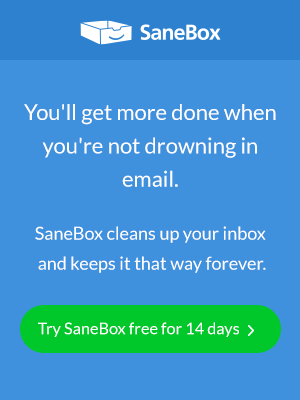 Here at SaneBox, we understand your pain. That’s why we’ve worked with our good friends over at Recruiterbox to put together the perfect checklist for all your job hunting needs.